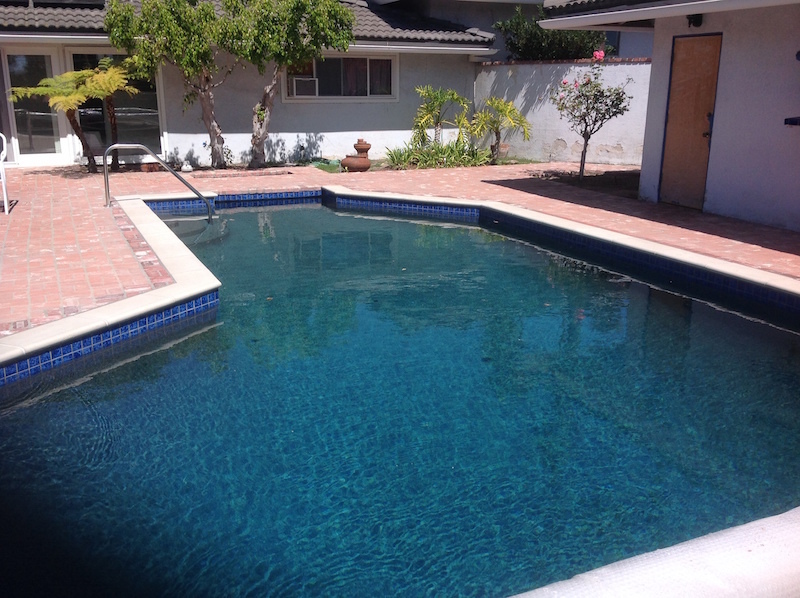 It is important to take time once a week to check your swimming pool to make sure the chemistry is balanced, the water is filtering, and the water appears to be clear and free of debris. The water should be tested on a weekly basis. Outside variables such as bathers, rain, landscaping, and even certain chemicals will cause a fluctuation in water chemistry readings. 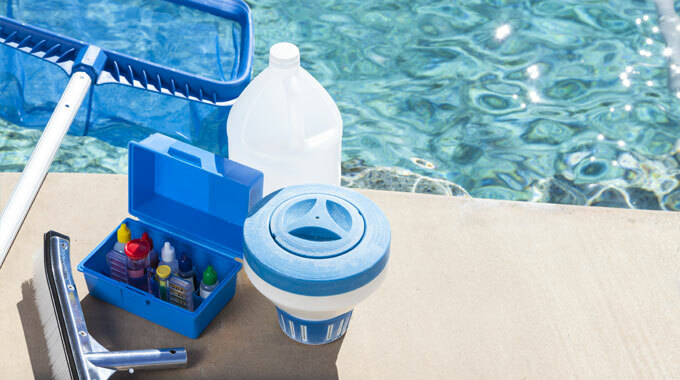 It is recommended that all pool owners keep a test kit or test strips on site to ensure all chemicals levels are in the ideal range. We offer free computerized water analysis so feel free to bring a water sample during your next visit. 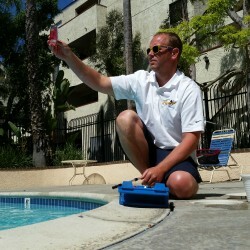 We can keep track of your water analysis and provide a print out of necessary chemicals and directions for applying them to your pool or spa. During the summer when the weather is warm and reaches a temperature of 75ºF or above swimming pools should be filtered at least 8-12 hours a day, depending on the gallons of water. 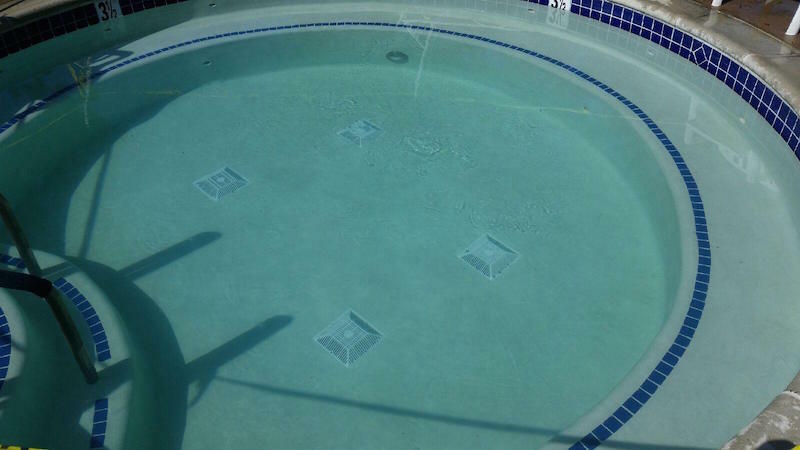 Winterizing Swimming Pools: In California winterization of swimming pools is not a common practice because the weather in the winter usually is not cold enough to close the pool down. If you live in a region where winterization is common and would like more information, click here. 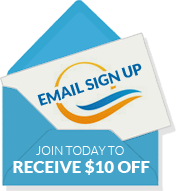 For Pool Owners That Do Not Winterize: In the winter, swimming pools should be filtered about 4-6 hours a day. 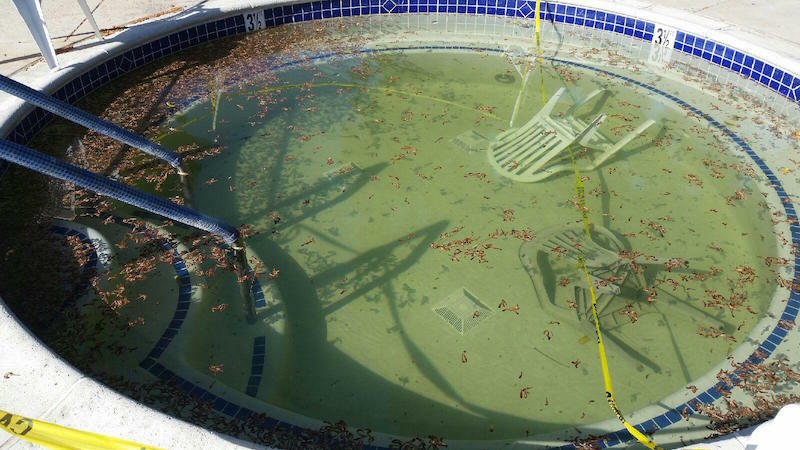 If you have a suction-side automatic pool cleaner you may wish to increase the equipment run time to allow the pool cleaner to cover the entire pool surface and remove more debris. Don’t forget to back wash or clean the filter on a regular basis and also check the skimmer and pump baskets where leaves and debris will get trapped. If the water level drops below the skimmer your pump is in danger of running dry and the water will not be filtered. Allowing this to happen will cause damage to your pump and create stagnant water which aids in algae growth.